AITEK Insight is organizing a training for Kaspersky Endpoint Security for Windows KL 002.10. This training will prepare you the the KLCP certification (Niveau Kaspersky Lab Certified Professional) and is internationally recognized. AITEK Insight is organizing a training for Kaspersky Endpoint Security for Windows KL 302.10. This training will prepare you the the KLCP certification KLSE1 (Kaspersky Lab Systems Engineer 1) and is internationally recognized. 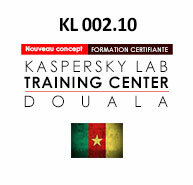 AITEK Cameroun is organizing a training for Kaspersky Endpoint Security for Windows KL 002.10. This training will prepare you the the KLCP certification (Niveau Kaspersky Lab Certified Professional) and is internationally recognized. 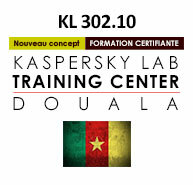 AITEK Cameroun is organizing a training for Kaspersky Endpoint Security for Windows KL 302.10. This training will prepare you the the KLCP certification KLSE1 (Kaspersky Lab Systems Engineer 1) and is internationally recognized. 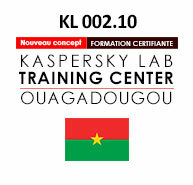 AITEK Burkina Faso is organizing a training for Kaspersky Endpoint Security for Windows KL 002.10. This training will prepare you the the KLCP certification (Niveau Kaspersky Lab Certified Professional) and is internationally recognized. 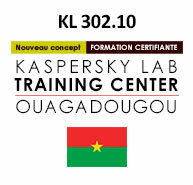 AITEK Burkina Faso is organizing a training for Kaspersky Endpoint Security for Windows KL 302.10. This training will prepare you the the KLCP certification KLSE1 (Kaspersky Lab Systems Engineer 1) and is internationally recognized. 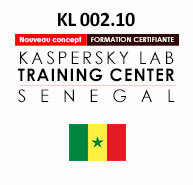 AITEK Senegal is organizing a training for Kaspersky Endpoint Security for Windows KL 002.10. This training will prepare you the the KLCP certification (Niveau Kaspersky Lab Certified Professional) and is internationally recognized. 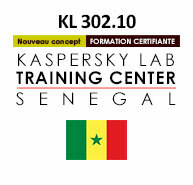 AITEK Senegal is organizing a training for Kaspersky Endpoint Security for Windows KL 302.10. This training will prepare you the the KLCP certification KLSE1 (Kaspersky Lab Systems Engineer 1) and is internationally recognized. AITEK Insight is organizing a training for Kaspersky Endpoint Security for Windows KL 302.10. 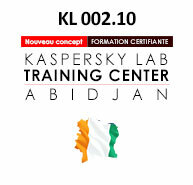 This training will prepare you the the KLCP certification (Niveau Kaspersky Lab Certified Professional) and is internationally recognized.